On Sunday James, Richard and myself journeyed up to Coventry to join the Midlands bloggers for a social fishing trip on a local canal. Organised by Jeff Hatt, I'm not going to list names or blogs, instead I'll make a list at the end of this post to other reports from what will probably be a heavily blogged event. 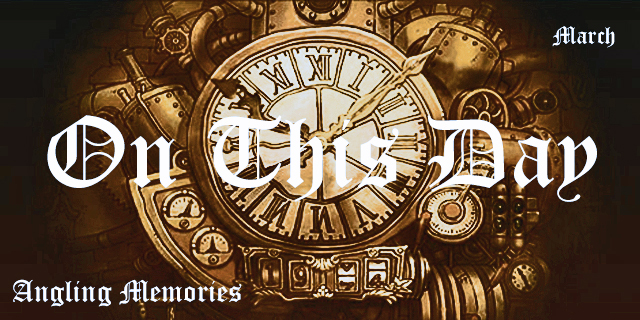 So this is my story. Having NOT missed the train from London (I'm looking at you James and Richard) I met Jeff at the train station for a 5 mile sprint across Coventry, we did briefly peer into the canal and spotted a couple of jack pike, but no time for a cast - there were people to meet and zander to catch. Tackling up over a pint outside the pub on the canal it was strange to actually meet people who's blogs I read and fishing experiences I'd shared for years, I felt I knew them even though this was the first time we'd met - apparently I'm taller than expected. Pint finished it was time to wet a line and on advice from Jeff we float fished roach sections. I didn't have to wait long before my float was on the move - I waited for it to pick a direction and struck - fish on and it stayed on! My first wild zander, delighted! 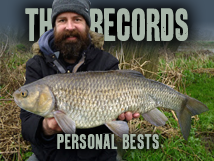 I was awarded 3lb by my fellow anglers, a cracking start. Next cast sat out for about 5 minutes before the float started to wander, really like this float fishing - taking this to Bury Hill. Zander number two was on the bank, a mini zed but still a zed - brilliant. 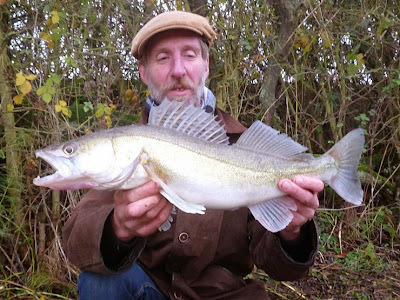 As the afternoon progressed we explored some more of the canal, Jeff using his local knowledge to put a cast under 'the zander bush' for near instant result and the 4lb zed above (look how it's posing for the photo). It was the last zander I saw, although a few more were caught, I believe Danny had a couple [Edit: make that 5] drop-shotting (got to give that another go) and Richard finished with a zander about 1½lb on legdered roach section. 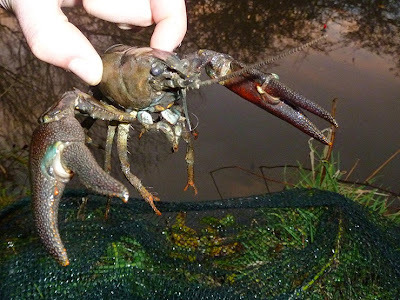 While fishing I did have my float gently pull under a couple of times, and after a couple of exciting strikes thinking it was a zander, a slow pull up revealed it was a crayfish. Despite crays being the bane of a lot of anglers lives, I'd never caught one - so I lowered the bait back down and waited with the net in hand. A slow bite, a slow lift of the rod and net under before he let go. My first crayfish! 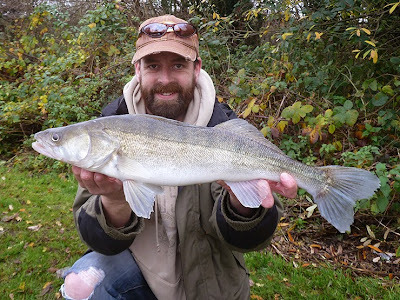 Back to the zander fishing. We fished on into the first two hours of dark with no more fish, then retired to the pub for a few drinks before I had to race home. It was great to meet such familiar faces for the first time and it was great to see how people were fishing for zeds, it was a brilliant day and a lot of food for thought fishing-wise. So a big thank you to Jeff and all the guys. let's just hope we never get the dreaded crays on the wandle! If they do arrive they won't last long, they will be lunch for the mitten crabs! Nice Zander. Whats the deal with the Crayfish, can you kill them or do you have to return them? Or can you remove them and possibly eat them? Get a designer restaurant to market them just right and before long they'll be much lower numbers of them. 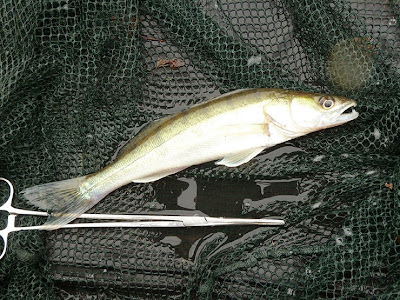 Cheers, really nice to get a wild zander. I think it you're supposed to kill the crays, you can eat them them from clean water (not here). I put it back. the joke is,they were illegally stocked by the restaurant trade into the kennet and spread like wildfire.they have all but wiped out the native(small)white -clawed variety with their size(i've seen them a foot long,so good luck crabs! )and they also carry a plague.as far as removing them goes-it's illegal(but i haven't seen you),so therefore you won't be needing any recipies(purge in clean water for 24hrs/boil).good luck finding a restaurant-they're flooded with them!unless they are eradicated on mass,they just repopulate an area in time from elsewhere,crawling along the bottom or across land! Great to meet you, Brian. I think you had quite a session considering how tough it was for most. You never do know how it'll fish on any given day. I went out this morning and it looked great. Not a sniff! Great to meet you too. 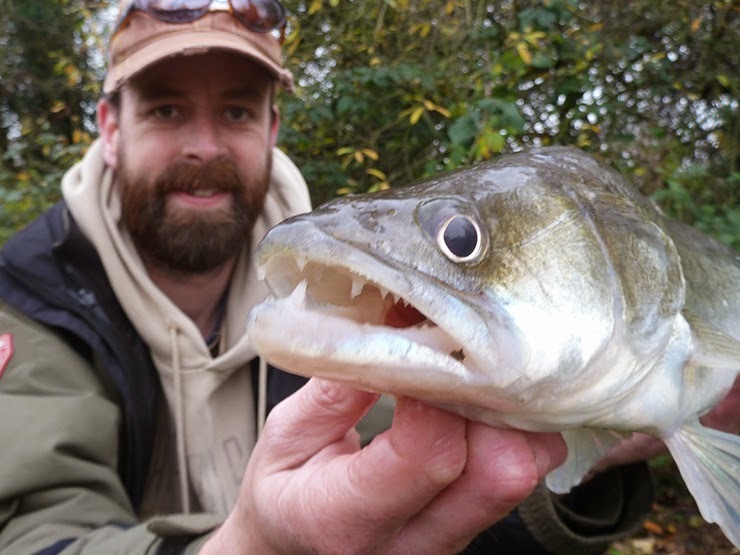 Great session for me, really wanted a wild zander - it's better to be lucky than good! I think we'll all be drop shotting over the coming months. Minnow on a bobber is the simplest. Most active in low light. Another great way is jigging off the bottom with live bait or plastic. They are one of the best tasting fish we have in the US for eating.